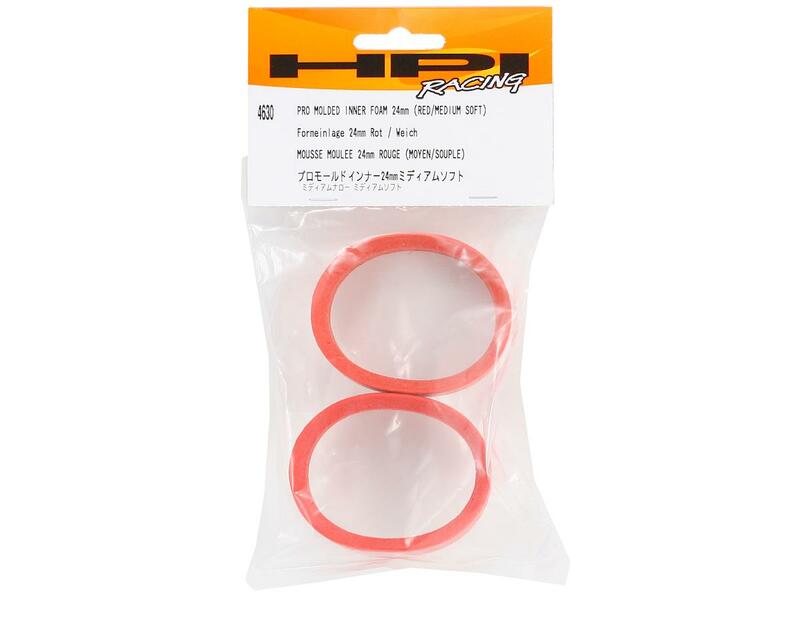 This is a set of HPI 24mm Red - Medium/Soft Pro Molded Insert Tire Foams. Designed specifically for HPI's Racing Slick 24mm tires, these Pro Molded Inner Foams in "mid-width" 24mm size are the ideal match! 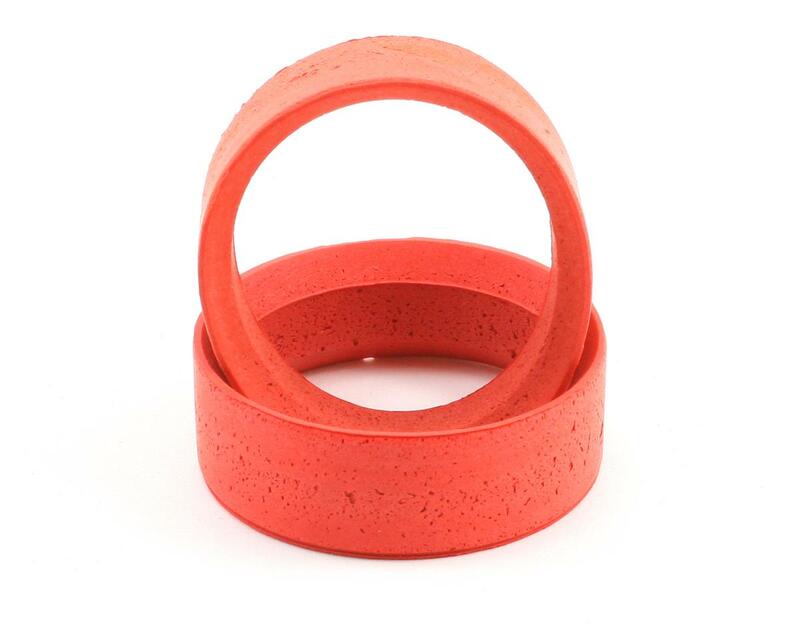 The three different compounds of inner foam allow racers to fine-tune the tire/insert combination for better results. These new inserts are color-coded for easy identification. Racers should start out with the same tire/insert combination front and rear, and if they need less steering they can try a firmer insert in the front tires, or a softer insert in the rear tires. If the racer needs more steering, they can try a softer insert in the front or a firmer insert in the rear.